There are a few remaining slots available for the TDV to Portugal next month. We plan to arrive into Porto on the morning of Thursday 15th September and fly out again on Sunday 18th September. Fly in Thursday morning then hire cars to travel to Dão for lunch, then a tasting at Quinta da Falorca, followed by a visit to Quinta de Lemos. We will stay locally to the vineyard at hotel Pousada de Viseu after having dinner at the vineyard restaurant. On the Friday morning we will drive to the Douro Valley to enjoy a tasting at Quinta Santa Eufemia, then after lunch we will visit Quinta de Covela. We are staying at the Douro Palace Hotel and Spa. Saving the best until last, on the Saturday we travel back towards Porto, where we are booked in at the famous Taylor’s for a tour, tasting and lunch. 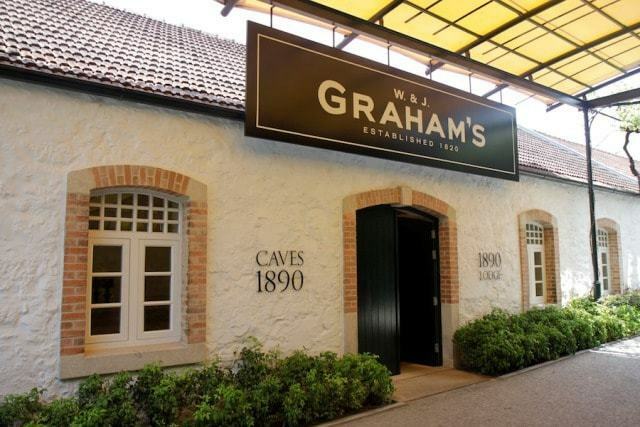 We will then make the short trip to Graham’s for a special tasting at their fabulous Lodge. We will be staying in Porto and heading into town for the final tour dinner. Sunday will be a free day before flying back at your leisure. We have a great touring party of 14 guests at the moment, so if you would like to attend, please reply by return to book your place. We hope to see you on what should be another fantastic trip.